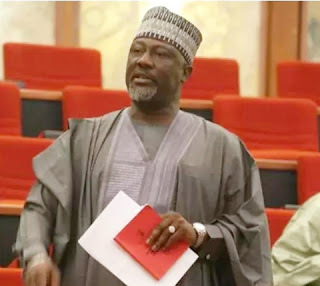 The Federal Capital Territory (FCT) police command said it was unaware of the kidnapping of Senator Dino Melaye, who was reportedly kidnapped Thursday morning by unidentified gunmen in Abuja, as he was returning to Kogi State. Senator Ben Murray Bruce, who had revealed the development on his Twitter account, said: "I have just been informed by Moses Melaye, @ dino_melaye's brother, that Dino was abducted by strangers in a Toyota Sienna that has blocked their car on their way to Kogi to answer Dino's case, let's be vigilant and keep you informed. " In response, the CTF Police Command stated that he was not aware of the abduction because no one informed the police. Anjuguri Mamza, the staff's public relations officer, said in a telephone interview with Daily Sun in Abuja. "We have a report on the kidnapping of Senator Dino Melaye". Mamzah said and declined to comment further.